R Kelly's stop in Germany is being welcome with even more warmth than anticipated by its promoters. 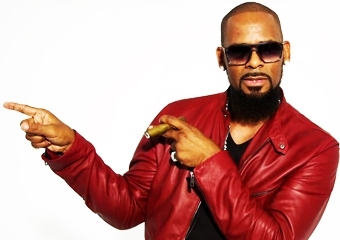 R. Kelly has booked a few shows despite the criticism revived by the allegations found in the Surviving R. Kelly. The documentary series produced by lifetime prompted American entities to distance themselves from the R&B singer. However, Kelly's popularity is apparently soaring overseas. His show scheduled in Ludwigsburg on April 12 is being moved from the MHP Arena, which boasts a capacity of 7200 for concerts, to a bigger venue. A source connected to the initial location confirmed the change of plans, explaining how the event "was moved to a higher capacity spot in Sindelfingen 2 weeks ago, but got relocated again recently to Ratiopharm Arena in Neu-Ulm." The latest venue, located 5 miles away from Ludwigsburg, can hold up to 9,000 people.